PUNTA GORDA, Fla. Shots fired, confusion and a grim realization. 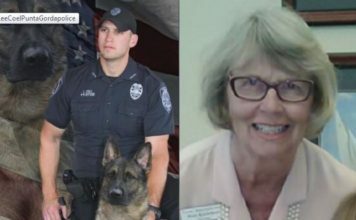 Newly released surveillance footage shows the moment former Punta Gorda Police Officer Lee Coel shot and killed 73-year-old retired librarian Mary Knowlton in August during a “shoot-don’t shoot” training exercise at a citizens police academy. Knowlton is seen striding to the front of a group of dozens of academy classmates who appear in the video. She takes her position for the training exercise, and Coel opens fire with his personal weapon, which was loaded with real bullets. Knowlton falls to the ground, but for a few moments, no one else moves. A Florida Department of Law Enforcement report revealed most of those present, including husband Gary Knowlton, thought her fall was simply an act and all a part of the training scenario. The video next shows Coel running toward her, and other officers jumping into action and calling paramedics. Coel has pleaded not guilty to a felony first-degree manslaughter charge. The FDLE found no evidence he intended to kill Knowlton. He’s appealing his termination from the police department. His appeal hearing is set for Thursday. 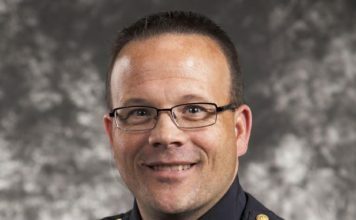 Punta Gorda Police Chief Tom Lewis, who’s charged with second-degree misdemeanor culpable negligence, is on paid administrative leave.